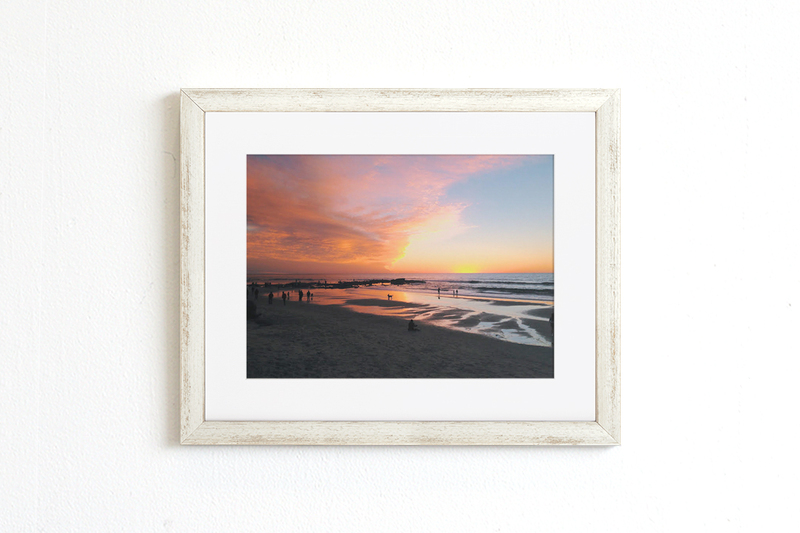 For those sunset and beach photos, this white wood frame offers a subtle textural compliment to the vivid colors of a summer sunset sky. The white wood makes for a summer-y addition to a beach house. Plus, Verse is a fabulous choice for a summer wedding photo. The off-white hue from the wood looks great with a white dress. One could say it’s quite Verse-atile. Celebrating a sibling, friend, or a loved-one this summer? Charlotte is just the frame for you. The iris-shaped mat allows us to focus on the ones we love. It’s just the right size: not so large that their face is larger than in real life, and not so small that the details are lost. Furry friends look great in Charlotte as well. But don’t take our word for it, choose your favorite photo and see for yourself! Jaunt is the epitome of a summer frame. It comes in seven fun and bright colors, ready to complement your vibrant photos. (Remember, you can always uses our filter presets inside the Keepsake app to edit your photos.) Still haven’t gotten around to framing those graduation photos? Show off your cap, gown and diploma! 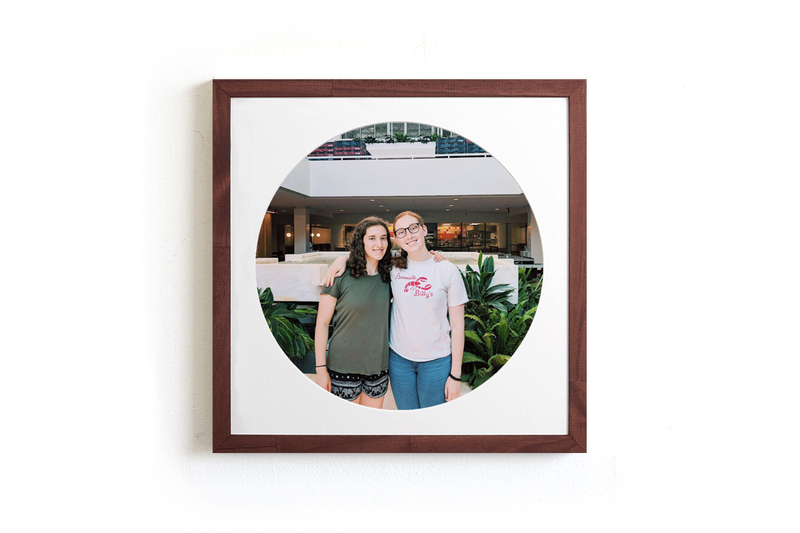 Frame a photo in each of the school colors to show your clever and fun sides all at once! You don’t have to be starting, adding to, or finishing a gallery wall to choose the Gallery frame. 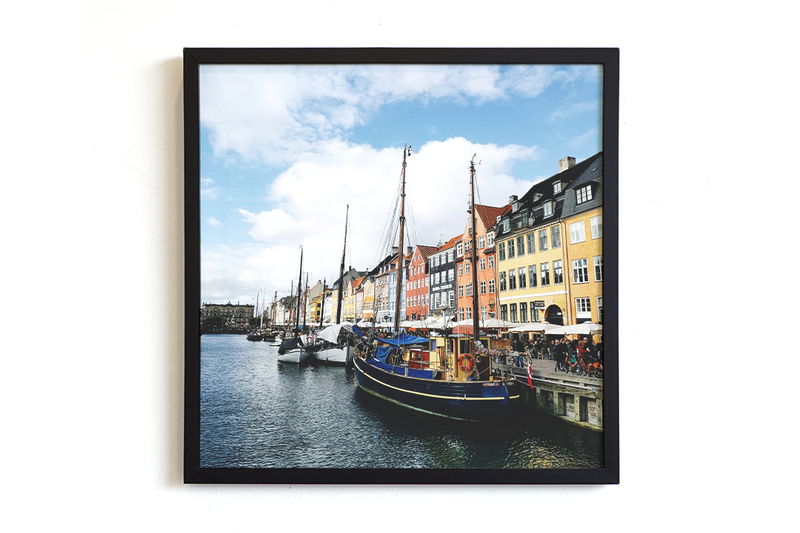 To showcase your favorite photo from your European travels, or the miraculous group shot where everyone is smiling, Gallery will make sure your photo stands out. 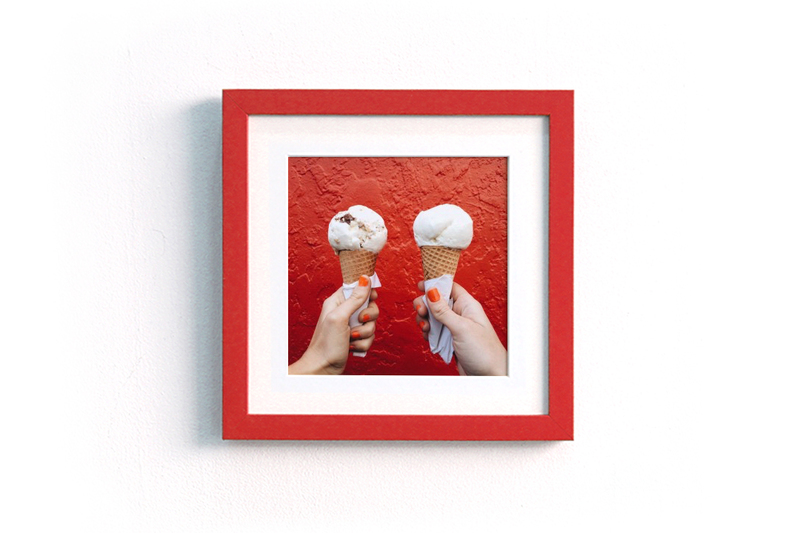 Share your summer frames with us on Instagram!